Few moments are as devastating as when one hears a diagnosis of cancer, and one out of three Americans will hear this diagnosis in their lifetimes. 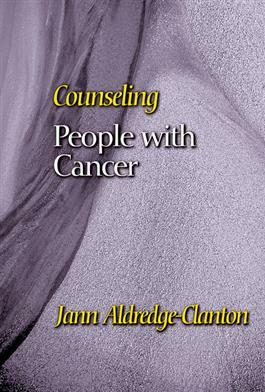 In this book, Jann Aldredge-Clanton brings a perspective from a theology of hope for people struggling with cancer. She believes that in the midst of a frightening illness, our spiritual task is to reunderstand our life story in light of the sacred story of God's love in the world. This book is full of practical insights to enable pastors and pastoral counselors to help persons cope with the diagnosis and experience of cancer.